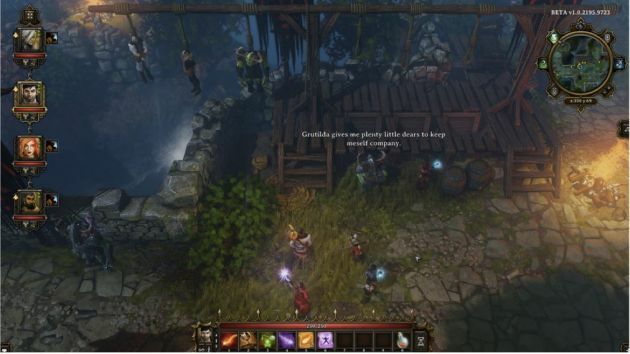 (PHOTO: Divinity Original Sin website)Gameplay screenshot of Divinity: Original Sin. What started as a Kickstarter project, 'Divinity: Original Sin' created a force to be reckoned with in the gaming industry with its back-to-the roots RPG adventure. As a consequence of its massive success in the market, future development may no longer need crowdfunding and the possibility of coming to gaming consoles such as Xbox and PlayStation is now crystal clear. "We always wanted to have a great experience on the TV screen, so we'll definitely explore it," Larian Studios founder and CEO Swen Vincke said in an interview with Game Spot. Released in June, the full version of the video game follows a formula of a classic isometric role-playing game that offers something fresh. "Divinity: Original Sin is one of the most rewarding RPGs to come along in years. Its quests and combat compelled me to think hard about my actions and choices, which is more than I usually get to say about contemporary RPGs," IGN commented. Eurogamer shared the same sentiments and said, "Divinity: Original Sin is hands down the best classic-style RPG in years. It's obviously not Ultima 8 in name (and that's probably for the best, because the Ultima 8 we got in reality was bloody awful). It is, however, in every way that counts, the best successor ever to those classic journeys to Britannia, and a triumph on its own terms as a modern RPG with no shortage of fresh ideas." The classic and nostalgic vibe also dawned on Polygon's Phillip Kollar, "when we he played the game and remarked, Complex yet approachable, nostalgic yet modern, cliché-ridden yet strange and singular in so many ways. It captures the feeling of a classic '90s PC RPG but simultaneously turns each assumption about plot, setting and combat mechanics on its head...one of the deepest and most unforgettable games I've played all year. " Divinity: Original Sin managed to score nine out of the perfect score of ten at review-aggregation site Metacritic. The game garnered a total of 19,541 backers on Kickstarter with a total funding of $944,282 vs the original pledge goal of $400,000.